The intention of this project was to create a space that could hold a new and growing family in the future. At Resi, we successfully created a home where our clients could imagine the pitter patter of little feet running around the new open plan living space. This project was carried out under full planning permission, which was granted on 26th July 2018. 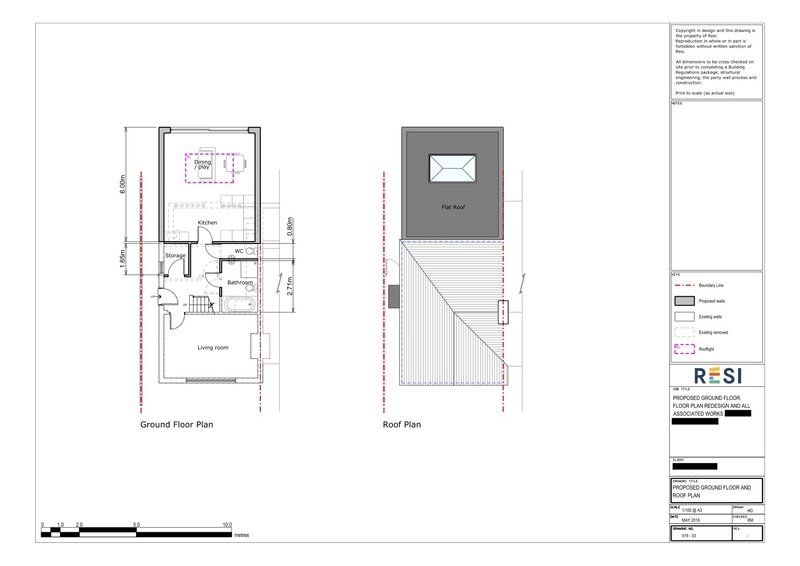 Our client was looking to maximise the space available to them as an investment as well as to create potential for a family home. They were looking to use the space to increase the size of the master bedroom, and at the rear create an open plan kitchen, dining and living area for hosting friends. They specified that their preferred style was Scandinavian, where everything has a storage space. 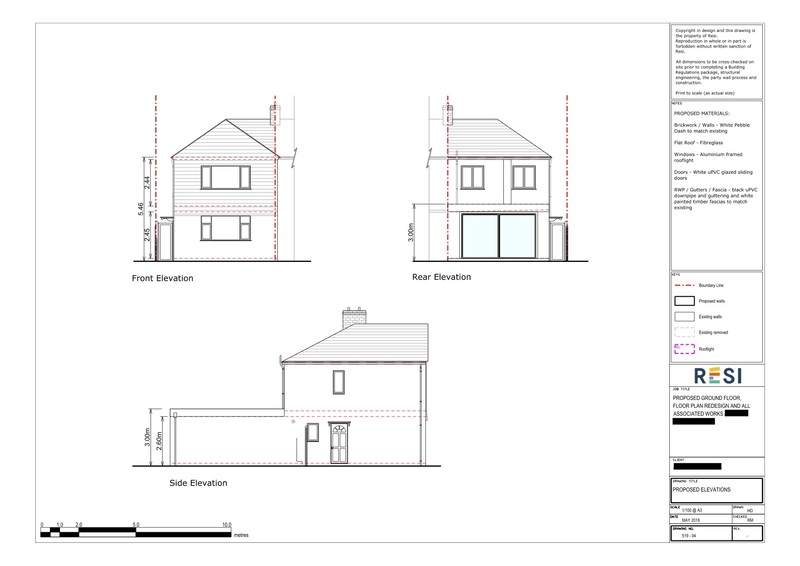 This property greatly benefited from the side infill extension designed by Resi. I used the new space at the rear for a conservatory which held a lounge, perfect for summer days. Attached the new conservatory was an open plan kitchen, dining, and living area, with two skylights. I added in a central kitchen island in order to break up the space. In keeping with the Scandinavian theme, by the dining room wall I designed some inbuilt storage, to organise the clutter of future chlidren. The first bedroom was enlarged and moved to the front of the property, while an ensuite was added to the master bedroom. To allow for the maximum amount of natural light, I added aluminium French doors out towards the rear.